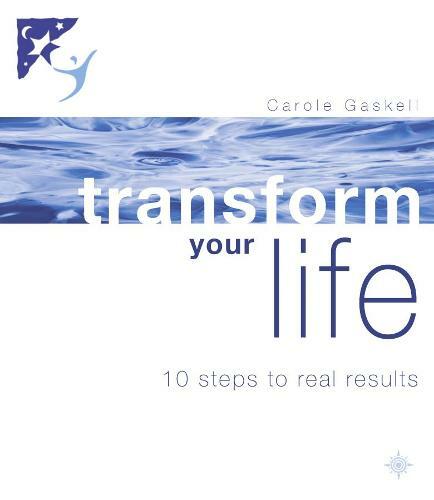 Carole Gaskell Transform Your Life 10 Steps to Real Results An inspirational step-by-step guide to Taking Charge of Your Life and Unlocking Your Full Potential How do you feel about life at the moment? Restless? Uncomfortable? Dissatisfied? Bored? The good news is that it is well within your power to change things, and this book will point you firmly in the right direction. Transforming your life is about accepting who you are, where you've been, what you've learnt so far, and then opening yourself up to the possibilities that present themselves to you. Once you really start to connect with your personal strengths and take responsibility for yourself, you can begin to realise your full potential and live life on your own terms. Carole Gaskell, one of the UK's leading Lifecoaches, and MD of the renowned 'Lifecoaching Company', takes you on a life-changing voyage of discovery, as you 'Spring-Clean Your Life', 'Connect with Your True Essence', 'Clarify Your Priorities', 'Develop Your Vision', 'Set Your Goals', and above all 'Celebrate and Enjoy Your Transformation!'. Combining inspirational narrative with step-by-step techniques and practical exercises, Transform Your Life provides you with the inspiration, the framework and the tools to do just that.